Shacknews speaks with David and Haraldur of The Bearded Ladies Consulting to learn more about their work following the release of Mutant Year Zero. PC gamers were given a rare treat when The Bearded Ladies released Mutant Year Zero: Road to Eden late last year. 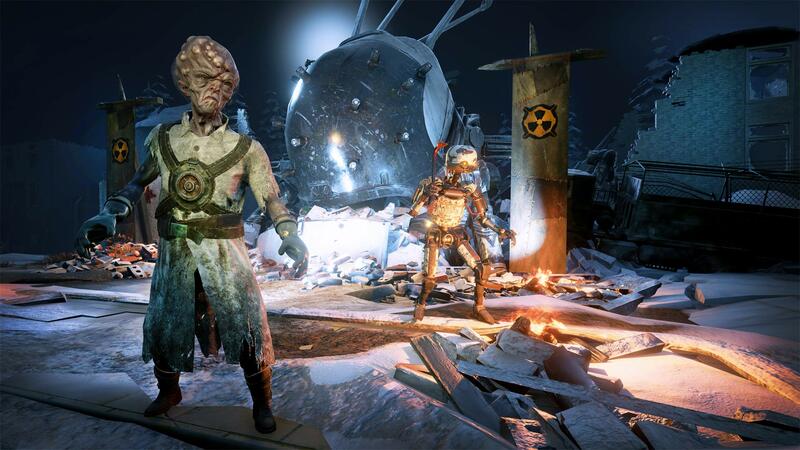 A turn-based strategy game that hearkened to PC offerings from eras now long past, Mutant Year Zero garnered a strong following of fans who became endeared to the title's colorful cast of mutated heroes. Shacknews was able to catch up with David Skarin, First Lady of The Bearded Ladies Consulting, as well as Haraldur Thormundsson, Circus Director and CEO, to discuss how things have been going following the game's release and what sort of work they've been doing in the months that followed. So what's new with the Bearded crew? For most players, the release of Mutant Year Zero: Road to Eden on Nintendo Switch is the biggest new development. According to Thormundsson, positive fan feedback following the release of the game inspired the team to immediately begin work on DLC as well as the Switch port. While the first piece of DLC has already been released, the team indicates that the next content drop is coming later this year in June. The addition of a multiplayer mode was one of the main focuses from the team, a move that "adds a bit of replayability" to the title and allows players to soak in more of the game's richly-detailed environments. However, since The Bearded Ladies consulting is such a small team, the work in post-launch support has apparently been "hectic." Happily, both Thormundsson and Skarin still appear cheerful and optimistic, particularly when it comes to bringing their game to Nintendo's hybrid handheld. The upcoming Mutant Year Zero: Road to Eden DLC as well as the Nintendo Switch release will be dropping into strategy fans' loving arms on June 25, 2019. For more developer interviews and games industry convention highlights, check out all of the great videos featured on both the GamerHubTV and Shacknews pages over on YouTube.